Products powered by Nanobionic Technology have been determined by the FDA to be Medical devices as defined in section 201(h) of the Act and are also General wellness products. Products powered by Nanobionic Technology temporarily promote increased local blood flow at the site of application in healthy individuals. This increased blood flow can have a wide range of health benefits, including enhancing faster recovery, increasing strength and endurance, supporting heat generation, and increasing general wellness of being. Nanobionic is the next generation in biofunctional textiles, combining science, technology and nature to enhance your life. 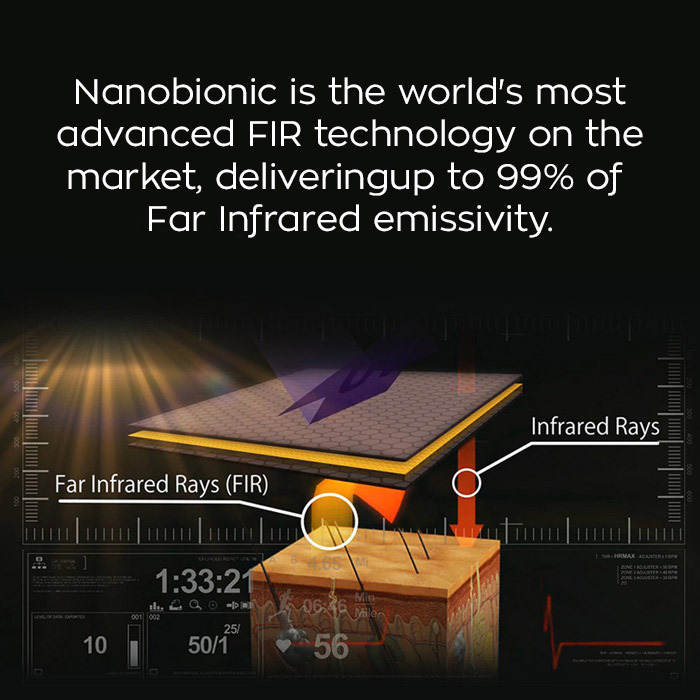 Nanobionic is a high-tech patented coating that transforms body heat into Far Infrared Rays (FIR) and reflects them back to the body. Far Infrared Rays (FIR) are invisible waves of energy that have the ability to penetrate, sooth and stimulate the human body. When FIR penetrates our bodies, it helps us to feel energized and healthy. 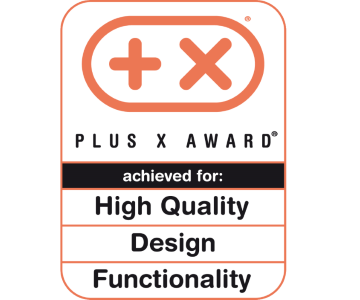 is a unique patented coating that promotes restful sleep and improves the recovery process while you sleep. is a unique patented coating that increases performance, boosts body’s energy and enhances faster recovery. Work Hard. We've got you covered. Nanobionic Heat Technology is a unique patented coating tha increases thermal energy and supports heat generation. Several studies have been conducted in order to prove the various benefits of Nanobionic Technology. The final conclusion of the study is that: Nanobionic T-shirt positively affect athletic performance. Moreover, 97% of the panel considered that the bio-ceramic duvet is better than their usual duvet. Finally, 100% of the panel would buy the nanobionic bedding regardless of its price. A dramatic drop in the number of free radicals in the lymphocytes was observed following the wearing of the Nanobionic material, up to 95%. Reduced levels of destroyed proteins were also observed in 50% of the subjects, who wore Nanobionic material within the minimal range of time. In conclusion, the wearing of the Nanobionic vest for a minimum of 1-2 hours a day significantly contributed to the reduction of the number of free radicals. In summary, the findings indicate that the application of nanobionic gloves substantially improves the local circulation in patients affected by Reynaud disease. 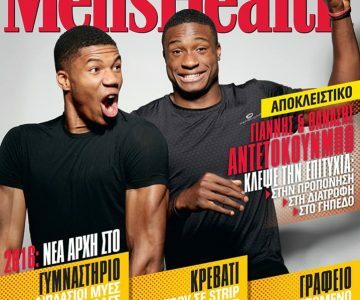 Nanobionic Performance T-shirt has been presented at the home page of Men’s Health Magazine. 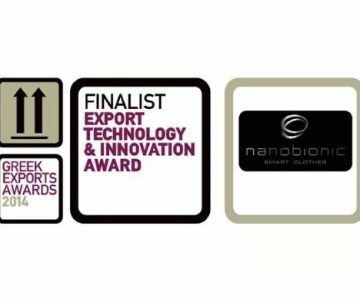 Nanobionic excelled as a National Champion in the European Business Awards. 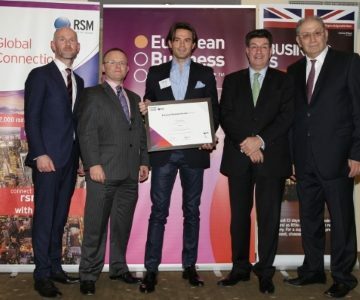 Nanobionic excelled as a National Champion in the European Business Awards – a prestigious competition, which is supported by business leaders, academics, media and political representatives from all over Europe. 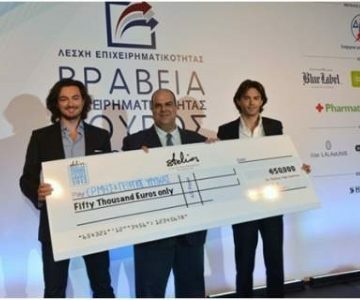 Nanobionic company has been awarded Greek Business of the Year. It has also been awarded by the «Stelios Award, Entrepreneur in the Year 2013. Nanobionic is the only company that has developed the most efficient innovative high-tech clothing, which recycle the body’s energy. "Since the fabric of superman's bulletproff suit, we don't think we have come across such a magical sounding textile"
with top-leading companies from around the world serving different sectors/industries. Nanobionic was founded in 2011 by George and Ermis Psipsikas and has been successful since its inception with performance, body shape wear, active leisure apparel amongst other products. Nanobionic offers the next generation in textile technology combining science, an innovative technology and nature to enhance people's lives. Using a specialized patented technology, Nanobionic products work beyond the means of traditional textiles offering a wide range of benefits that include promoting a temporary increase in blood flow and increasing thermal energy, which in turn offer an enormous amount of health benefits. In a constant pursuit of innovation, Nanobionic is dedicated towards forward thinking and product development solutions from our accredited scientific research teams. At Nanobionic, we believe innovation stems from exploring the synergy between science, nature and technology to uncover the potential that improves the daily lives of everyone. 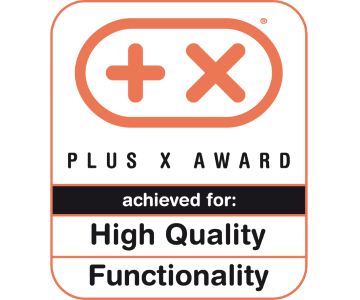 We consider ourselves a FUTURE BRAND; delivering tomorrow's solution today to help our customers reach new heights of well being, performing better, feeling better, and looking better, inside and out. Nanobionic is dedicated to developing products to help enhance people lives. Our research and development department is tirelessly looking for new products that offer wellness of being. © 2018 Nanobionic | All rights reserved.